Carrozzeria Touring was established in 1926 by Felice Bianchi Anderzoni. In 1937, after years of experimentation with aerodynamics, they pioneered the superleggera (superlight) construction, using space-frame tubes covered in aluminum. The result was incredible racing success for Alfa, Fiat, Lancia, and Ferrari, and Alfa Romeo. The Alfa six-cylinder 2,500 cc engine was introduced in 1935, and was able to be quickly revived post-WWII, as much of Alfa’s activity had been moved from Portillo, which was heavily damaged during Allied bombing, to the town of Orta. 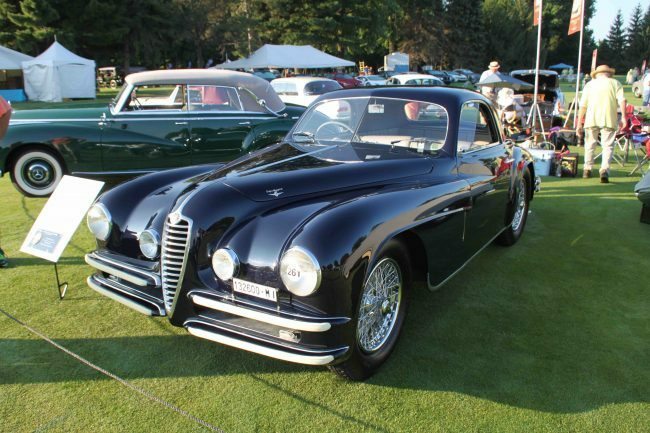 This enabled Alfa Romeo to get a jump on their competition, and post-war production resumed in 1946, and it is believed that just 60 Touring Coupes were built between ’46 and ’50. 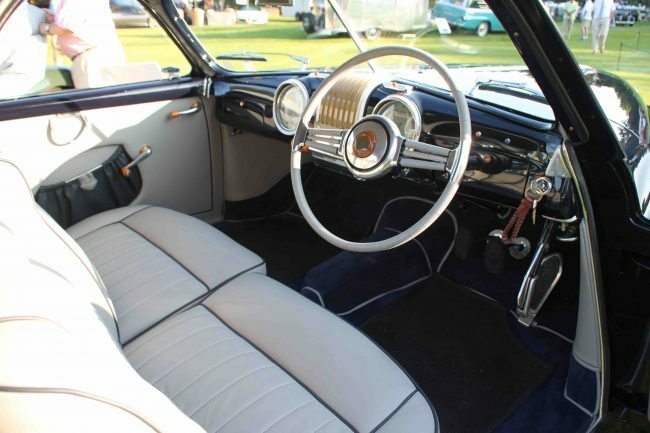 The sleek Italian design appealed to new owners like King Farouk, Rita Hayworth, Tyrone Power, and even Prince Rainier. It was one of the most expensive vehicles available at the time, and a notable step along the path of rebuilding post-war Italian production. Top speed at the time was 96 MPH. 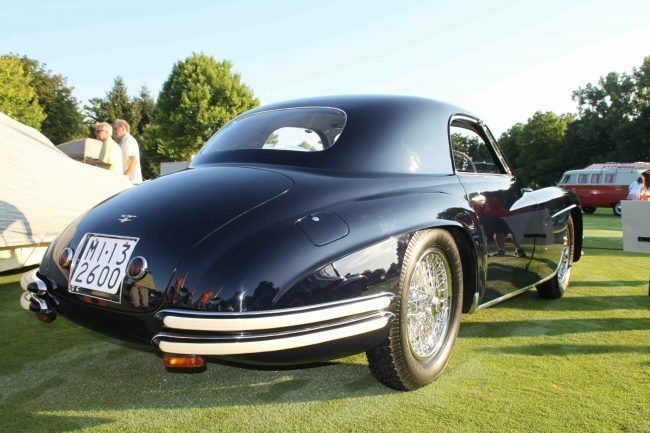 The lovely example we photographed at the Concours of the Americas was one of the hand-built examples of the noted Milan firm Carrozzeria Touring. Each chassis was assembled by hand, and then shipped to the coachbuilder of the owner’s choice. Part of the noted OFF Brothers collection in Richland, MI, this car has won awards from fine concours events around the country, and has toured in ARCC and VSCC Rallys as well. 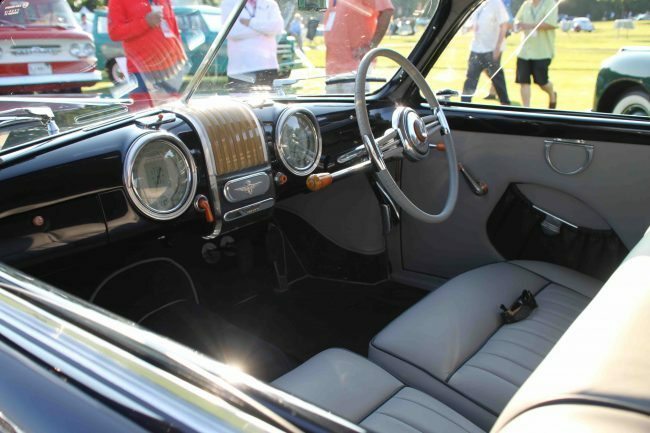 If you have an early model Alfa Romeo or another collectible you’d like to insure with us, let us show you how we are more than just another collector vehicle insurance company. We want to protect your passion! Click below for an online quote, or give us a call at 800.678.5173.